Heather Bresch (née Manchin; born June 27, 1969) is an American business executive. She has served as the chief executive officer (CEO) of Mylan since 2012. She is the first woman to run a Fortune 500 pharmaceutical company. In 2015, she was listed as #22 in Fortune magazine’s “Most Powerful Women” list. Bresch at Mylan Headquarters in 2015. Bresch is the daughter of former West Virginia Governor and current U.S. Senator Joe Manchin. Bresch has been central to two controversies; a 2007 accusation of inflating her resume with an unearned MBA degree, and as the CEO of Mylan during the controversy over pricing of the company's EpiPen products. Bresch grew up in Fairmont and Farmington, West Virginia in a Roman Catholic family of partial Italian and Czech descent. She is the daughter of Gayle Conelly Manchin and Joe Manchin, who was a prominent politician throughout her childhood and is currently the senior United States Senator from West Virginia. Bresch attended Fairmont Senior High School in Fairmont, West Virginia and graduated from West Virginia University (WVU) in 1991 with a bachelor's degree in political science and international relations. In 2007, The Pittsburgh Post-Gazette reported that Bresch had claimed to have an MBA degree from West Virginia University, but the university disputed that. The university subsequently awarded her an EMBA despite her having completed only 26 of the required 48 credits. Her father was governor of the state of West Virginia at the time. In the ensuing controversy, the university announced in April 2008 that it would rescind Bresch's degree. Michael Garrison, WVU President at the time, was reported to be "a family friend and former business associate of Bresch" and a former consultant and lobbyist for Mylan. After a faculty vote of no confidence, Garrison and several university officials subsequently resigned. In 1992, Bresch started working as a clerk in a factory owned by Mylan, a generic drug company, and rose through the company to become the Chief Executive Officer in 2012. At a WVU basketball game in 1992, Bresch's father mentioned his daughter's job search to Mylan CEO Milan Puskar. The company soon thereafter offered her a low-level position in the quality control department of a factory in Morgantown. According to Bresch, she had misgivings about the offer. Her father said she should "absolutely take it" and try it for a year. She took his advice, and started as a clerk, typing labels. She received frequent promotions during the following years, "working hard and learning the industry inside out". From 2002 to 2005, Bresch served as Mylan's director of government relations. She contributed to the development of the Medicare Prescription Drug, Improvement, and Modernization Act of 2003, which created Medicare Part D, a prescription-drug benefit. In 2006 Bresch testified before the U.S. Senate Special Committee on Aging to lobby for changes to the law that would prevent pharmaceutical companies from raising challenges to the introduction of generic competitors by filing citizen's petitions with the FDA, and that would prevent pharma companies from undercutting the profits of generic drug companies by making deals for authorized generics to be introduced. When Mylan expanded internationally, Bresch noticed that Mylan's U.S.-based pharmaceutical manufacturing plant had full-time staff from the Food and Drug Administration (FDA) devoted to it, whereas facilities abroad had not been inspected by the FDA for more than a decade. Bresch persuaded several of Mylan's competitors to support what became the Generic Drug User Fee Act, which she proposed to lawmakers in 2010. Under the law the generics industry would pay the FDA fees of $300 million to get their drugs approved, and in return the FDA would inspect foreign drug manufacturing facilities at the same rate as U.S-based facilities - something it had not been doing, even though the entire pharmaceutical industry had begun to depend on foreign manufactures for ingredients as well as finished products. To advocate for the new law, she made hundreds of visits to Washington, D.C., sponsored a white paper, and used all the political skills she had learned from her father. The Generic Drug User Fee Act of 2012 was passed on July 9, 2012 and required FDA inspections of pharmaceutical manufacturing locations abroad if they are importing into the United States. 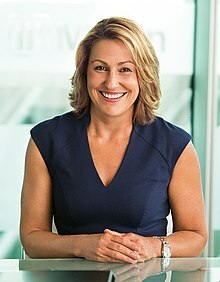 Heather Bresch has served in several executive roles at Mylan, such as Senior Vice President of Corporate Strategic Development, Head of North American Operations, Chief Operating Officer, and Chief Integration Officer. Bresch led the integration of Matrix Laboratories Limited and Merck KGaA's generics and specialty pharmaceutical businesses with Mylan's operations. She was chair of the Generic Pharmaceutical Association (GPhA) for two terms. Bresch was appointed President of Mylan in 2009 and joined Mylan's Board of Directors in March 2011. Bresch's appointment as Chief Executive Officer (CEO) was announced in 2011 and she officially took the position in January 2012. Bresch was the first female CEO of a large pharmaceutical business. At the time, she was one of 18 female CEOs of a Fortune 500 company. After seeing how few female candidates were available for positions that require a background in science and math, she became more interested in promoting math and science education among young girls. As CEO of Mylan, Bresch continued advocating for more regulation of the pharmaceutical industry by the Food and Drug Administration (FDA). She was recognized in Esquire's 2011 "Patriots of the Year" list for her work pushing for the Food and Drug Administration Safety and Innovation Act (FDASIA). She was named one of Fortune Magazine's "50 Most Powerful Women In Business" in 2014. Also in 2014, Bresch and Mylan announced a $5.3 billion acquisition of Abbott Laboratories as part of a corporate tax inversion plan to re-organize the company in the Netherlands and move its domicile to a country with lower taxes. Bresch said it was a difficult choice to make, but it had to be done to maintain competitiveness against pharmaceutical manufacturers that had already executed similar inversion strategies. The company completed the complex tax inversion in February 2015. The inversion—which formally resulted in the creation of a new company, Mylan N.V., with 78% of its shares held by former Mylan Inc. shareholders and 22% of its shared held by Abbott Labs shareholders—was expected to immediately drop Mylan's U.S. corporate tax rate to 21% (from 24%) in the first year "and into the high teens over the next three to five years." The New York Times said there was something "disconcerting" about a company that benefits from large government contracts renouncing their citizenship for tax benefits. In 2016 Mylan's pricing of the EpiPen, used to treat anaphylaxis (severe allergic reactions), became a focus of public anger. Mylan had secured the rights to the nearly 50-year old EpiPen as part of the Merck KGaA deal in 2007. At that time annual sales were around $200M. Bresch saw an opportunity to increase both the sales volume and the profit margin. The company launched a marketing campaign to increase awareness of the dangers of anaphylaxis for people with severe allergies that made the brand "EpiPen" as identified with its product as "Kleenex" is with facial tissue; the company also successfully lobbied the FDA to broaden the label to include risk of anaphylaxis and in parallel, successfully lobbied Congress to generate legislation making EpiPens available in schools and in public places like defibrillators are, and hired the same people that Medtronic had worked with on defibrillator legislation to do so. From 2007 to 2016, Mylan also increased the price of EpiPens by 461 percent, from around $100 for a package of two pens to around $600. By the first half of 2015, Mylan had an 85% market share of such devices in the U.S., and in that year sales reached around $1.5B and accounted for 40% of Mylan's profit. The price increase in 2016 was met with widespread, sometimes vitriolic, criticism of Bresch and Mylan. Bresch explained at the 2016 Forbes Healthcare Summit that Mylan’s price increases were justified by the many improvements that the company made to the product. As a response to the controversy, Bresch led Mylan to introduce a generic version of the device which sells for half the price of the brand-name device. Proxy filings show that from 2007 to 2015, Bresch's compensation rose from $2,453,456 to $18,931,068, a 671% increase in pay. Bresch was ranked #31 in Fortune magazine's 2014 "50 Most Powerful Women" list That same year, she won the EY Global Impact of the Year Award. Bresch was the 2017 Albert Schweitzer Leadership Award honoree at an awards gala hosted by the Hugh O'Brian Youth Leadership Foundation. Bresch is married to Jones Day lawyer Jeffrey J. Bresch. She was previously married to West Virginia businessman Douglas Kirby. She lives with her husband and four children in Sewickley Heights, Pennsylvania. ^ a b Lott, Ethan (April 26, 2013). "High-end home sales have been going strong over the past three years". Pittsburgh Business Times. Retrieved February 6, 2015. No. 1, 202-204 Scaife Road in Sewickley Heights, was bought by Jeffrey Bresch and Mylan Inc. CEO Heather Bresch from IPEG Inc. Chairman G. Watts Humphrey and Sally K. Humphrey for $2.85 million. ^ "BRIEF-Mylan NV CEO Heather Bresch's 2017 Compensation Was $12.7 Million". Reuters. 30 April 2018. Retrieved 2 May 2018. ^ a b Leslie P. Norton (March 2, 2013). "Medicine Woman". Barron's. Retrieved February 6, 2015. Her father, Joe Manchin, is the former governor of West Virginia, and now the state's junior senator in Washington, D.C.
^ Wieczner, Jen (2015-09-11). "Why Wall Street Loves to Hate Mylan's Female CEO". Fortune. Retrieved 2017-10-23. ^ a b c Bowman, Nikki (June 11, 2012). "No Generic Success Story". WV Living Magazine. Retrieved February 6, 2015. ^ Taube, Aaron (September 6, 2014). "29 People With 'Soft' College Majors Who Became Extremely Successful". Business Insider Indonesia. Retrieved February 6, 2015. ^ a b "Provost Quits Over Degree to Governor’s Child", New York Times, April 28, 2008. ^ Boselovic, Len & Patricia Sabatini, "University revokes degree after scathing report on M.B.A. awarded to Bresch", Pittsburgh Post-Gazette; accessed April 24, 2008. ^ "College president to quit over degree scandal", MSNBC.com, June 6, 2008. ^ Bosco, Andrea (April 22, 2014). "Mylan CEO Continues To Expand International Medicine Efforts". WHIRL Magazine. Retrieved September 26, 2014. ^ a b Bowman, Nikki (June 11, 2012). "No Generic Success Story". West Virginia Living. Retrieved September 26, 2014. ^ Seaman, John; Landry, John T. (2011). Mylan 50 Years of Unconventional Success. Mylan, Inc. Retrieved August 28, 2016. ^ a b c Harris, Gardiner (August 13, 2011). "Deal in Place for Inspecting Foreign Drugs". The New York Times. Retrieved September 26, 2014. ^ a b c Clemons, Steve (June 12, 2012). "What it really takes to change Washington". Retrieved September 16, 2014. ^ Heffernan, Tim. "Esquire's Americans of the year:Patriots". Esquire. Retrieved September 26, 2014. ^ a b c d e f Norton, Leslie (March 2, 2013). "Medicine Woman". Barron's. Retrieved September 26, 2014. ^ Bloomberg Mylan Nv (MYL:NASDAQ GS) Executive Profile: Heather Bresch, bloomberg.com; accessed August 26, 2016. ^ Jack W. Plunkett (October 2007). Plunkett's Health Care Industry Almanac 2008: The Only Comprehensive Guide To The Health Care Industry. Plunkett Research, Ltd. p. 547. ISBN 978-1-59392-096-8. ^ Sabatini, Patricia; Boselovi, Len (December 21, 2007). "MBA mystery in Morgantown". Pittsburgh Post Gazette. Retrieved September 26, 2014. ^ Mamula, Kris (December 20, 2013). "Personalities of Pittsburgh: Heather Bresch". Pittsburg Business Times. Retrieved October 4, 2014. ^ Mamula, Kris (March 1, 2011). "Heather Bresch named to Mylan board". Pittsburgh Business Times. Retrieved February 13, 2015. ^ a b Jett, Jennifer (Winter 2014). "West Virginia's Leading Lady". West Virginia Executive. Retrieved September 26, 2014. ^ Nixon, Alex (October 27, 2011). "Mylan's Heather Bresch added to brief list of female CEOs". Pittsburgh Tribune. ^ Fairchild, Caroline (August 28, 2014). "The Broadsheet: August 28th". Fortune. Retrieved September 26, 2014. ^ a b c Sorkin, Andrew (July 14, 2014). "Reluctantly, Patriot Flees Homeland for Greener Tax Pastures". The New York Times. Retrieved October 4, 2014. ^ Nixon, Alex (September 17, 2014). "Mylan CEO Bresch sets sights on growth". Tribune Business News. Retrieved September 26, 2014. ^ Portillo, Caroline (July 25, 2014). "'Inversion' is a hot button issue, but for Mylan CEO Heather Bresch, it could be a family feud". BizJournals. Retrieved September 26, 2014. ^ a b Patty Tascarella, Mylan inversion deal completed, 'Pittsburgh Business Times (February 27, 2015). ^ a b c Parker-Pope, Tara; Rabkin Peachman, Rachel (August 22, 2016). "EpiPen Price Rise Sparks Concern for Allergy Sufferers". The New York Times. ^ a b c Koons, Cynthia & Robert Langreth. How Marketing Turned the EpiPen Into a Billion-Dollar Business, bloomberg.com, September 23, 2015. ^ Leahey, Colleen (November 21, 2013). "Mylan CEO Heather Bresch on why she admires Bill Gates". Fortune. Retrieved October 4, 2014. ^ a b Popken, Ben (August 26, 2016). "Mylan Execs Gave Themselves Raises As They Hiked EpiPen Prices". NBC News. Retrieved August 23, 2016. ^ Emily Willingham for Forbes. Aug 21, 2016 "Why Did Mylan Hike EpiPen Prices 400%? Because They Could", forbes.com; accessed August 28, 2016. ^ Mangan, Dan. "Mylan CEO Bresch: 'No one's more frustrated than me' about EpiPen price furor". CNBC. Retrieved August 27, 2016. ^ Eunjung Cha, Ariana (August 24, 2016). "Senator's daughter who raised price of EpiPen got paid $19 million salary, perks in 2015". Washington Post. Retrieved August 27, 2016. ^ Edney, Anna; House, Billy. "The Senator's Daughter Who Raised Prices on the EpiPen". www.bloomberg.com. Bloomberg. Retrieved August 27, 2016. ^ Weintraub, Arlene (1 December 2016). "Mylan CEO Bresch Admits 'Full Responsibility' For EpiPen Price Hikes". Forbes. Retrieved 6 November 2017. ^ Mangan, Dan (3 March 2017). "Mylan CEO Heather Bresch says diversification is boosting company after EpiPen controversy". CNBC. Retrieved 6 November 2017. ^ "Mylan CEO on EpiPen drug price controversy: "I get the outrage"". CBS News. 27 January 2017. Retrieved 6 November 2017. ^ "31: Heather Bresch". Fortune. 2014. Retrieved October 4, 2014. ^ Oravecz, John D. (21 June 2014). "Ernst & Young names Entrepreneurs of the Year for W.Pa., W.Va. region". Pittsburgh Tribune-Review. Retrieved 6 November 2017. ^ Boutiette, Crystal (17 April 2017). "2017 NYC Albert Schweitzer Awards Honoree-Heather Bresch". Hugh O'Brian Youth Leadership Foundation. Retrieved 6 November 2017.